This is a game between two regular attendees in the Euroleague and this is the fourth season in a row that these two teams have faced each other. There may be no surprises in this game but you should expect to see a very high standard of basketball on Friday night. 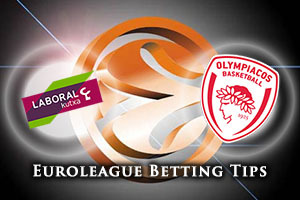 The hosts have a very good record against Olympiacos in Spain, standing with a 10-4 record. However, the last time the Greeks triumphed came in the 2013/14 campaign, in a Top 16 match, so Olympiacos do know how to win big games. A lot of the focus will fall on Ioannis Bourousis who played for Olympiacos for five seasons. Mike James has scored his 10 last free-throws and Fabien Causer has achieved a performance index rating of at least 10 in all of his last 10 games in the Euroleague, and he will be keen to add to this run this week. The MVP for round 1 of the regular season went to Patric Young of Olympiacos and this was well deserved after an excellent show against Cedevita. He notched up 16 points, 6 rebounds, 4 blocks and 2 steals, helping his team to victory. Vassilis Spanoulis is still closing in on a number of records and he tasted success last season against Laboral. In a 76-64 win in last season’s Top 16, Spanoulis grabbed 27 points and served up 6 assists. He’ll be a big player in this game as will GeorgiosPrintezis, who has notched double figures in his last six games in the Euroleague. 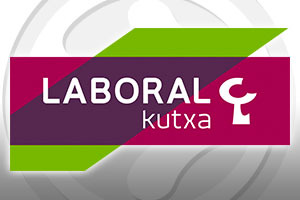 It could well be a close game so taking Laboral Kutxa Vitoria Gasteiz with a +2 handicap, at odds of 1.90, is likely to be a smart option. There is also the option of the Over/Under market for basketball betting fans. In this game, you should be looking to go OVER 152.0 at odds of 1.90. Bet Now!